I remember watching a chick emerge from an egg. It was miraculous. I have also seen a mosquito dragging itself from its pupa, standing on water for a moment to inflate its wings, and then flying away in search of blood. It was equally awesome. I mention the mosquito to quell the enthusiasm of those who think that miracles created all life. I herein explore insect metamorphosis in more detail, inspired by experiments regarding learning and memory. Insects mature though stages, called instars, separated by molts. Some insects undergo a spectacular transformation from larva to adult imago, while encased in a pupa. Such holometabolic insects include beetles, bees, butterflies, moths, flies, fleas and mosquitoes. Examples of insects that mature more gradually are grasshoppers, dragonflies, cicadas and aphids. So, we gain an appreciation for the learning ability of caterpillars and are astonished by the persistence of memory through a drastic redesign and restructuring of their bodies and lifestyles. The brain must surely retain some integrity during the process. 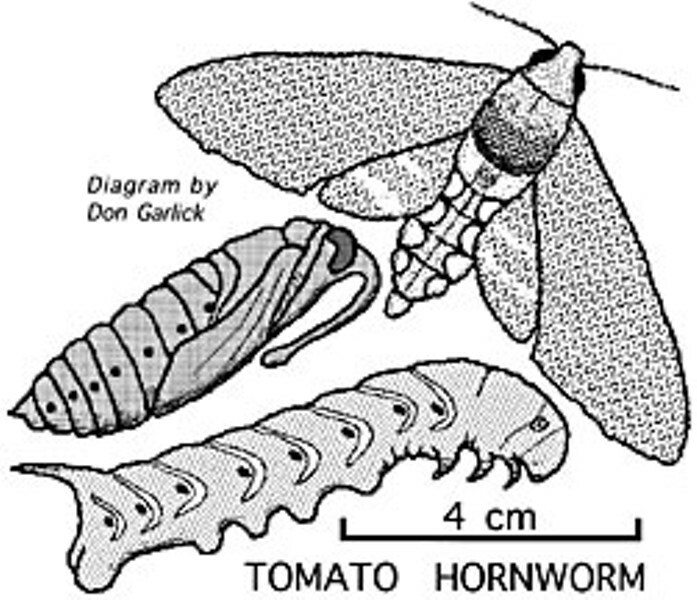 Go find a Tomato Hornworm in your garden, teach it a trick like bright-light avoidance, guard it through the three weeks of metamorphosis, watch in amazement as it bursts from its pupa, and then test whether your moth resists its inherent tendency to spiral into bright lights.